Introduced in 2014, the original Vertigo was created after an arduous 2+ year development period with lofty goals in mind. At the time, the Vertigo pushed the boundaries of sport boot technology to the absolute limit, sparing no cost to truly be the best. A testament to its enduring superiority, since its initial release the Vertigo has remained unchanged, until now. The Vertigo-2 Boot employs the same boundary testing technology as its predecessor with added tweaks and refinements to better meet the demanding needs of knee draggers and throttle junkies alike. Constructed using SIDI's exclusive Technomicro base material, the Vertigo-2 Boots are water and tear resistant as well as easy to clean and maintain. The Vertigo's single ankle support brace, comprised of nylon, restricts lateral movements and reinforces the internal and external ankle joint to offer increased support and stability. Additionally, air vents positioned below the brace are operated by an accessible, aerodynamic slide mechanism to provide optional airflow. 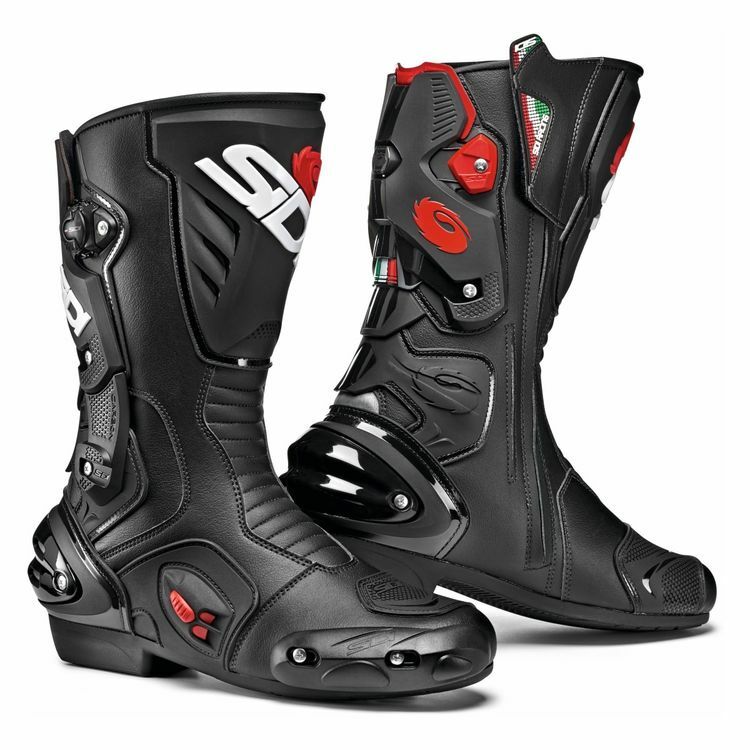 Additionally, the Vertigo series of boots are one of the few race boots in SIDI's lineup to offer a patented Tecno VR adjustable calf system. Designed to accommodate calves of virtually any size in a clean, supportive and protective way, the Tecno VR System utilizes micro adjustments to achieve a perfect fit. By simply lifting and turning the Tecno knob the internal monofilament line will evenly close and wrap the boot around the riders calf bit by bit to the rider's liking.